Rumours have been swirling recently amongst Nirvana fans of a possible reopening of the investigation into Kurt Cobain on the 20th anniversary of his death. Seattle police have since confirmed this not to be the case, it’s just a re-examination of the evidence, resulting in the release of new photos. However, surprise, surprise, this hasn’t stopped the internet going into overdrive. Kurt’s is not the first celebrity death to be revisited – in the past few years evidence has been combed over again in a number of cases (Natalie Wood, Princess Diana and Brittany Murphy, to name a few), with little or no significant change in the outcome. Natalie Wood’s death was the only official re-opening and all it resulted in was a slight amendment of the cause of death from accidental drowning to drowning caused by undetermined factors. While I get the need to justify a death and to have someone to blame, sometimes this just isn’t the case. Life and death happen. Why do we need to always know how, why or what? 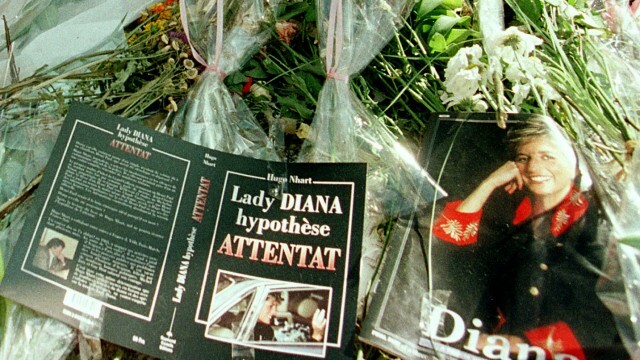 Conspiracy theorists love to dive back into cases involving their beloved idol, hoping that he or she is not dead and that they faked it to avoid the government mind-meld they were being infiltrated by. The “tin foilers” want us to believe that Elvis is surviving off greasy diner meals across the US; that Kurt hides out in a cave; that Tupac is still releasing music today; and that Paul McCartney was killed before the Abbey Road album cover was shot and replaced by a lookalike. I’m not bashing these people. There are things I argue passionately about that differ from what the government has told us happened, and I know that if logic is applied to my argument I am most certainly wrong. I personally don’t believe we did land on the moon, but as a logical and rational person I can’t see how we could have kept a faked moon landing secret for over 40 years either. I also have bought into the 9/11 footage that shows air-planes clipping around buildings – although on this one I’m not saying there was a conspiracy, but rather that the theorists do have some convincing videos (albeit that could be easily manipulated with video editing software I’m sure). What I am saying is that human beings must make perfect sense of everything and anything that happens or else we often will throw the baby out with the bathwater. Unfortunately, this goes deeper than just a simple belief that a celebrity was murdered, rather than committing suicide as the crime scene investigation seemed to allude. There is of course the legality of reasonable doubt (OJ Simpson, perfect example). The reality of all of this is, while not everything can be reduced to black and white (although I personally would prefer it), the mass of grey in between must be taken with a grain of salt. Just as you can stir up the murk and mud of a pond by sticking your feet into it, you can muddy most events by touching the outsides without ever having been there in the middle at the time. If Kurt Cobain was murdered by Courtney Love, as some conspire to suggest, then the suicide setup was done extremely well, her “mock” grief was impeccable (give the girl an Oscar) and we’ve all been horribly fooled. But if this was a tragic suicide, as it’s far more likely to be, why can’t we just let the dead rest in peace and allow their loved ones to move on with their lives as best they can. I get that there is money to be made by rehashing a story of a famous person time and time again (Princess Diana anyone? ), but it’s also disrespectful, a painful reminder of their loss to the deceased’s loved ones and it sets society back a notch every time we buy into it. Why don’t we use our energy for positively building the future rather than constantly dredging up a past best left where it was laid? Lyssa is a disoriented 80s baby in a world of "university is everything" mindsets, "everyone must unite and breed" mantras, a lack of good quality metal/rock acts touring Brisbane and declining quality episodes of The Simpsons. She is opinionated, pessimistic and always looking at her half empty spirit.